Please read, write, and forward widely! In his March 6, 2005 New York Times article “Too Hot to Handle, Too Hot Not to Handle”, New York Times cultural critic Edward Rothstein comments on the New York Theatre Workshop’s “postponement” of the play “My Name is Rachel Corrie,” about American activist Rachel Corrie who was crushed to death by an Israeli bulldozer while attempting to prevent the demolition of Palestinian homes in Rafah in the Gaza Strip on March 16, 2003. Write to the New York Times at letters@nytimes.com and to the Times’ Public Editor Byron Calame at public@nytimes.com. You appreciate that The New York Times is following the important story of the postponement of the play “My Name is Rachel Corrie” in New York City. However, the New York Times needs to get central facts right. Contrary to Edward Rothstein’s innuendo, Rachel Corrie was killed while defending the home of a Palestinian family that had no relationship to arms smuggling or terrorism. Despite Rothstein’s attempt to defend the Israeli government’s policy of large-scale home demolition in Rafah, Human Rights Watch, Amnesty International and the Israeli organization B’Tselem have all documented that Israel’s large-scale home demolition in Rafah violated international law and could not be justified as a defense against arms smuggling. 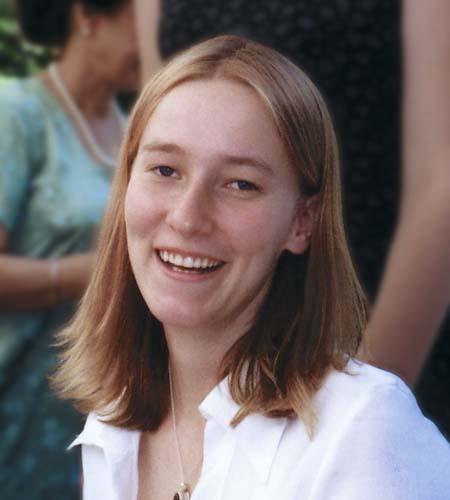 Rothstein attempts to discredit Rachel Corrie as “naïve” and “radical.” Rachel was killed while using nonviolence to stand against a clear injustice and widely recognized violation of international law. If using nonviolence to support international law made Rachel “radical” and “naïve,” then the world needs more naïve, radical people. Hamas’ victory in the Palestinian Legislative Council elections in 2006 should not be twisted to serve as a rationale for “postponing” a play about an American activist killed in Rafah in 2003. Edward Rothstein hints that the New York Theater Workshop was naïve in not understanding that the play was politically charged, an obvious, but valid point. Thus, Rothstein leaves open the possibility that Rachel Corrie herself may have been killed while preventing the demolition of a home hiding an arms smuggling tunnel, and that the Israeli military’s wholesale demolition of thousands of homes in Rafah was aimed only at destroying arms smuggling tunnels and preventing terrorism. Rothstein is wrong on both these crucial points. 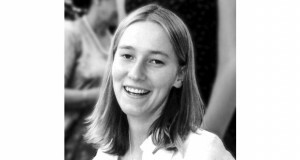 Rachel Corrie died defending the home of a Palestinian family who she knew well – Palestinian pharmacist, Samir Nasrallah, his wife and children. There was no tunnel in the Nasrallah home, and the Israeli army never asserted that there was a tunnel in the Nasrallah home. Nonetheless, the Nasrallah home, like thousands of others, was eventually demolished by the Israeli army. The international organizations Human Rights Watch, Amnesty International, and the respected Israeli human rights organization B’Tselem have all documented that homes in Rafah were bulldozed as part of an Israeli government policy of systematically demolishing entire Palestinian neighborhoods, irregardless of any relationship to arms smuggling, in clear violation of international law. Under international law, the IDF has the right to close smuggling tunnels, to respond to attacks on its forces, and to take preventive measures to avoid further attacks. But such measures are strictly regulated by the provisions of international humanitarian law, which balance the interests of the Occupying Power against those of the civilian population. In the case of Rafah, it is difficult to reconcile the IDF’s stated rationales with the widespread destruction that has taken place. On the contrary, the manner and pattern of destruction appears to be consistent with the plan to clear Palestinians from the border area, irrespective of specific threats…. Rothstein attempts to discredit Rachel and the play “My Name is Rachel Corrie” by mentioning her “radicalism,” Rachel’s “more contentious view,” and her views that seem “naïve.” He further confuses the issue by directly comparing the conflict over staging the play in New York City to the conflicts over “Andres Serrano’s photograph of a crucifix submerged in urine to the Danish cartoons portraying the Prophet Muhammad.” Thus Rachel and the play, already “disingenuous” and “radical” are made sacrilegious and even obscene to some readers. Despite all Rothstein’s efforts at distraction, the simple truth is that Rachel was an idealistic woman who used nonviolence to support international law. Finally, Rothstein implies that Hamas’ recent victory in the elections for the Palestinian Legislative Council somehow should have some bearing on whether or not the play “My Name is Rachel Corrie” should be staged in New York City (“and when the election of Hamas provided proof that all was not simple, perhaps that was when the play became more clearly understood”). It is a significant stretch to understand how the election victory of Hamas in 2006 should influence the cancellation of a play in the US about an American woman who was run over by an Israeli bulldozer almost three years earlier. Indeed the random, brutal deaths of thousands of innocent Palestinian civilians, and a few foreigners like Rachel Corrie, at the hands of the Israeli military from 2000 – 2006, help to explain the dissatisfaction and anger that contributed to Hamas’ election victory in 2006. Think of what might have happened had the theater actually presented the play later this month, fresh from its sold-out success at the Royal Court Theater in London. Then the controversy might have been over other forms of political blindness. There might have been assertions that the company was glorifying the mock-heroics of a naif who tried to block efforts to cut off terrorist weapon smuggling. Donors might have pulled away. And the New York Theater Workshop might have been accused of feeding the propagandistic maw of Hamas, just as it came into power in the Palestinian territories. Is it any wonder the company got jittery? The surprise, though, is that there was so much surprise on the theater’s part: surprise, first, that the play might cause controversy, then surprise that the postponement actually did. That much should have been clear from other conflicts over artworks and images ranging from Andres Serrano’s photograph of a crucifix submerged in urine to the Danish cartoons portraying the Prophet Muhammad. First, there is outrage, followed by either defense or retreat. Then there is much discussion of censorship and freedom of speech (which in many cases — the cartoons aside — is really more about public financing). And throughout, intermittent fear of giving offense mixes with frequent eagerness to give it; there is name calling and, occasionally, nervous back-pedaling. Of course, there are some important distinctions in this case: the postponement was not in response to riots but to worry over what might happen to the theater’s reputation or to donors’ enthusiasm. 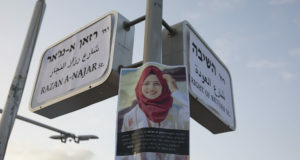 The theater also suggested that the postponement was just that — not a cancellation — and that it was in response to sensitivities expressed by Jewish leaders and to the rawness of these issues given the electoral victory of Hamas; more planning, the theater said, would be needed to present the play in a broader context. But what made it a more volatile act was that by declining for now to offend with the play, the theater violated the most sacred principles of our artistic temples. Those principles are: Thou shalt offend, thou shalt test limits, thou shalt cause controversy. If there is an artistic orthodoxy in the West, it is that good art is iconoclastic and provocative, and that any pull back from this orthodoxy is cowardly and craven. In this distended context, the New York Theater Workshop’s act was heretical. How could this happen? How could a theater take on a play like “Corrie” and not know what it was getting into? How could it then postpone the production and not know that the outrage of its colleagues-at-arms would be as fervent as the imagined reaction of patrons and protestors? She names the people she would like “to hang out with in eternity”: Rilke, Jesus, E. E. Cummings, Gertrude Stein, Zelda Fitzgerald and Charlie Chaplin. She announces to her accomplished older brother that instead of high salaries, she is “steadfastly pursuing a track that guarantees I’ll never get paid more than three Triscuits and some spinach.” Midplay, she is a budding literary bohemian who suddenly finds herself on Gaza’s front lines. What could be less controversial than this heroine, with her Utopian yearning to end human suffering and her empathy for Palestinians living in a hellish war zone, their homes and lives at stake? Her death becomes a tragic consequence of her compassion and, apparently, in performance, has the power to spur tears. But there is something disingenuous here. In an apparent effort to camouflage Corrie’s radicalism and broaden the play’s appeal, its creators elided phrases that suggested her more contentious view of things — cutting, for example, her reference to the “chronic, insidious genocide” she says she is witnessing, or her justification of the “somewhat violent means” used by Palestinians. But while she fails to see things fully, the play wants us to think she ultimately does. We are not meant to doubt the thoroughness of her account or to think too much about what she notices but does not explain. Though Corrie went to Gaza with the Palestinian-led organization the International Solidarity Movement to act as a human shield and to prevent Israel from destroying Palestinian homes, and though she died while trying to stop a bulldozer, there is no hint about why such demolitions were taking place. But dozens of tunnels leading from Egypt under the border into homes in Gaza were being used to smuggle guns, rocket launchers and explosives to wield against Israel. These demolitions often caused controversy, even in Israel, but the play’s omissions make them seem acts of systematic evil, rather than acts that were, at the very least, part of a more complicated and contested series of confrontations. It would have been more interesting to imagine an activist’s growing awareness of nuance, particularly given what is at stake. Is it possible that a growing awareness might also have been behind the postponement? When the directors of the New York Theater Workshop began to hear from staff members and outsiders that the play invoked issues it did not explain, and when the election of Hamas provided proof that all was not simple, perhaps that was when the play became more clearly understood. The company discussed staging other plays about the conflict alongside this one; attempts were made to arrange post-performance discussions, too. But that required time. So, awkwardly, the company betrayed aesthetic orthodoxy — declining, for now, to give offense, and in the process doing just that.